Chiropractor Sheboygan, Heinen Chiropractic, S.C.
Have you been sidelined by persistent pain? Would you like to revitalize your health naturally? At Heinen Chiropractic, we want to help you live your best life with safe and effective chiropractic care! Our friendly and caring team will take the time to listen to your health needs and goals and help get you on the path toward optimal wellness! We offer same day appointments and accept all insurance as well as medicare. 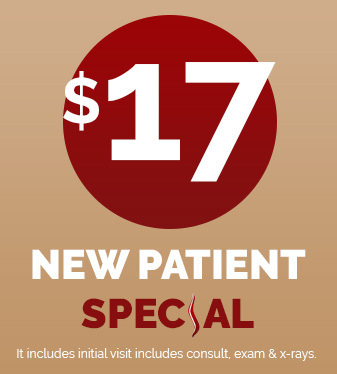 Take advantage of our $17 New Patient Special – Call (920) 451-9960 or book an appointment online now! Having been in private practice for over a decade, Dr. Ken Heinen has successfully treated thousands of patients in the Sheboygan area without the use of drugs or surgery. In fact, we have become the largest single doctor clinic in Sheboygan County by having great clinical success with the most difficult cases. If you have been to other doctors and haven’t had success or been told that surgery is the only option, it’s time for you to give us a call. Start on your road to wellness today – Call us at (920) 451-9960 now! Don’t see a time that works for you? Give us a call!